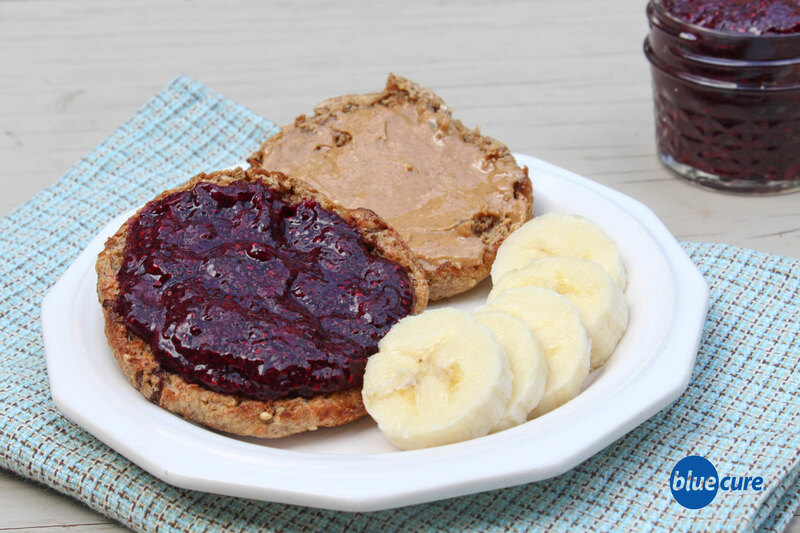 Blueberry chia jam was inspired by peanut butter and jelly sandwiches. PB&J is not exactly the same without the J; however, many commercial brands of jelly are high in added sugars and contain undesirable sweetness, such as high fructose corn syrup and corn syrup. Now you can enjoy the fruity, sweet taste on your sandwiches and English muffins without all the added sugar– this fruit spread is just made with fruit and seeds! Use on whole grain bread or English Muffins with or without nut butter/ seed butter. Optional to also add banana slices. Use jam with plain oatmeal. 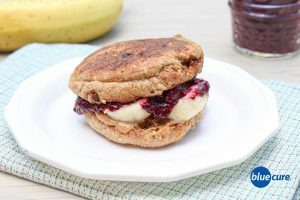 Top banana bread, French Toast, or Banana Pancakes with the chia jam. Combine water, blueberries, and pitted dates to a sauce pan. Cook on medium heat and stir frequently to avoid burning. Continue to cook until the blueberries have thawed out and the dates have melted. Remove from the heat. Using a fork, mash the blueberries to desired texture. Add the chia seeds and mix well. Allow the jam to sit for at least 15-30 minutes before serving. Store in an airtight container in the fridge.